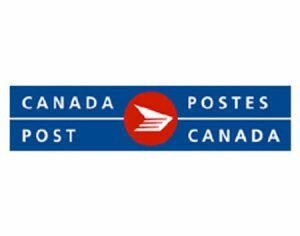 Mail to, from, and within Canada has been disrupted by 37 days of rotating strikes by union workers. On Tuesday, the government passed back-to-work legislation, but Canada Post said “unprecedented backlogs” would mean continued lengthy delays for customers, though workers have questioned its assessments. Holiday shopping was likely a factor in the government’s decision to pass the legislation. eBay and the Canadian Federation of Independent Business had been among those clamoring for the Canadian government to intervene, arguing that small businesses were suffering from delays during the all-important shopping season. The increased volume of packages due to growth in ecommerce is itself a major issue in the labor dispute. A main sticking point between Canada Post and the Canadian Union of Postal Workers is worker safety. One local newspaper interviewed a postal worker who said he was experiencing soreness from the repetitive work in delivering the increasing number of parcels, and he said Canada Post is trying to do more with fewer people. “The long-time employee said five years ago there were 35 carrier routes in Charlottetown, which is now down to 19, and said the volume of parcels they are required to carry has gone up,” the newspaper reported. The Star newspaper raised the issue of whether the legislation could hold up if challenged, citing a 2015 Supreme Court of Canada ruling that found the right to strike is constitutionally protected. It quoted a professor of labor relations, Bob Barnetson, who said Canada Post is profitable because of increased package volumes, which are contributing to worker injury rates. It said parcel deliveries would continue but be delayed during the peak holiday season and into January 2019. It expects existing backlogs to worsen this week due to high volumes from Black Friday and Cyber Monday sales.